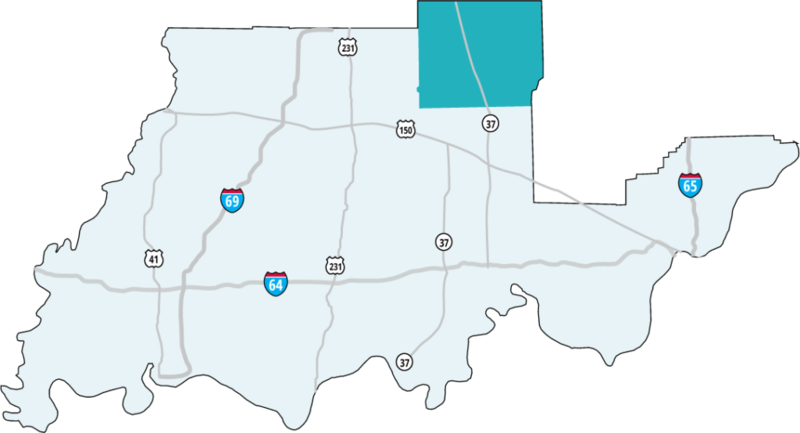 Just south of Bloomington, rural Lawrence County is filled with hidden excitement in a quiet area of Southern Indiana. 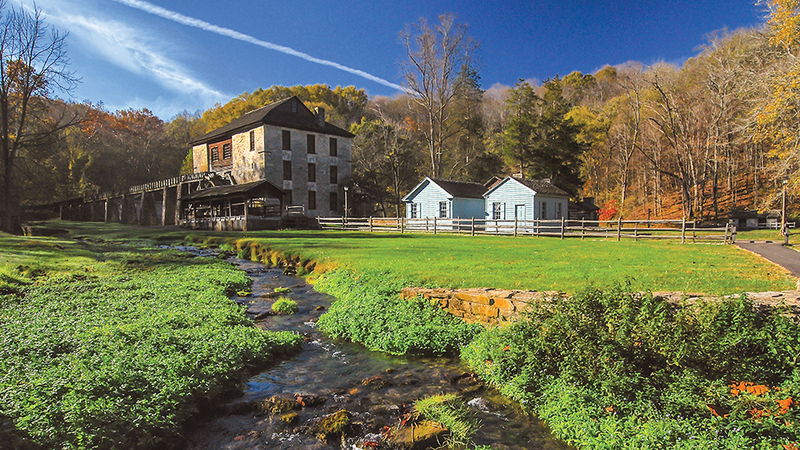 The area began to flourish in the 1800s, when a three-story limestone gristmill was constructed. The area, now known as Spring Mill State Park, was ideal for settlement because the caves and streams nestled in the rolling hills could provide water power for the gristmill. The community continued to grow throughout the decades, while the local limestone quarries produced some of the United States’ most beloved structures, such as the Empire State Building and The Pentagon. Around every corner, you’ll find limestone buildings and statues in Bedford and Mitchell. But, the area isn’t just known for its limestone. Three astronauts came from Lawrence County, including one of the Mercury Seven, Virgil I. ‘Gus’ Grissom. The Grissom Boyhood home, limestone Monument, and Memorial inside Spring Mill State Park pay tribute to Hoosiers’ contributions to space exploration. As you cruise through the countryside, you may come across barn quilts proudly displayed on the side of homes, barns, and sheds. These four-by-four-foot painted works of art each have a unique design sharing the history of the Southern Indiana and its locals. Also tucked in the hillside are treasure troves of antiques and collectibles. Over 25 shops boast primitive, country-chic, and nostalgic goodies. No matter how you explore the outdoors, limestone country has an interesting tale to tell. Railroad Café pays homage to Indiana’s rich transportation heritage, serving up home-style food just like Grandma made it. 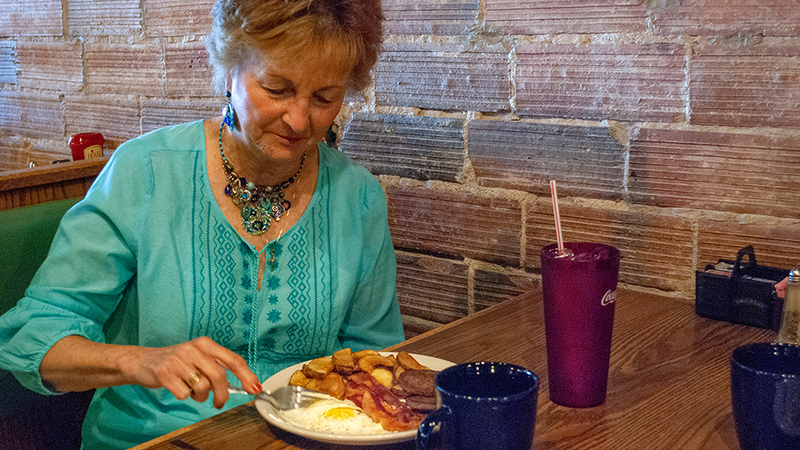 The Covered Hopper and Coal Car are the hearty breakfasts you’ve been craving. 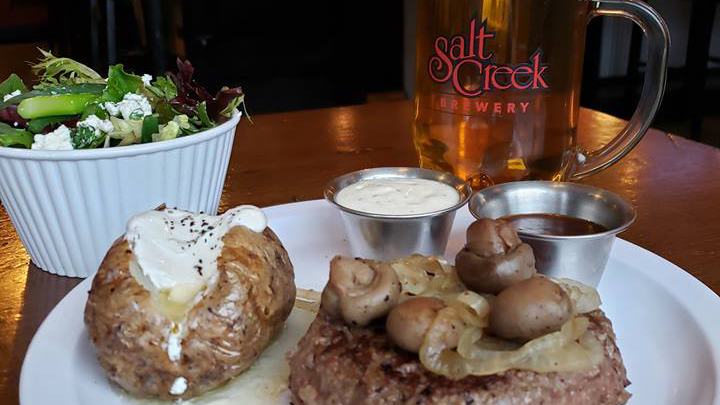 Salt Creek Brewery served up handcrafted beer and great food in a nostalgic, car garage atmosphere. Try the signature Wagyu Chop Steak. Limestone Café puts modern twists on homestyle classics. 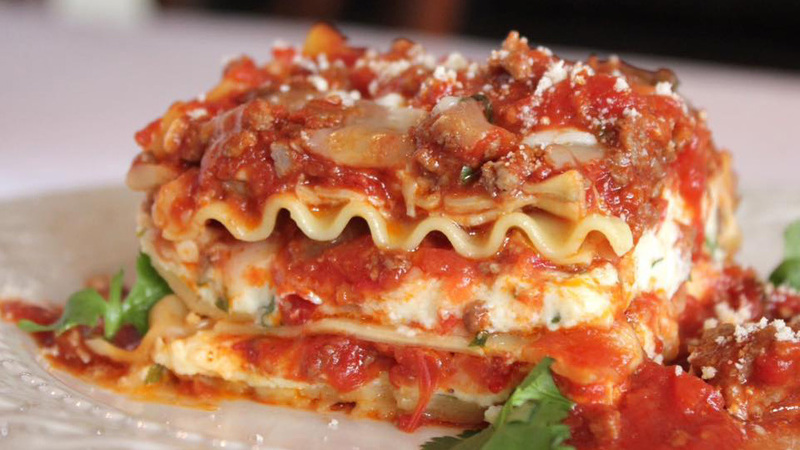 Locals love the Homemade Lasagna, Grilled Salmon with Lemon Butter, and the various in-season daily specials. Spring Mill State Park is one of Southern Indiana’s most interesting finds. The park includes a memorial to Hoosier astronaut Virgil I. ‘Gus’ Grissom, a Pioneer Village with a working Grist Mill, Twin Cave boat tours, Donaldson woods, and hiking trails for all activity levels. At a cool 52 degrees year-round and 100 feet below the surface of the earth, explore an underground river. 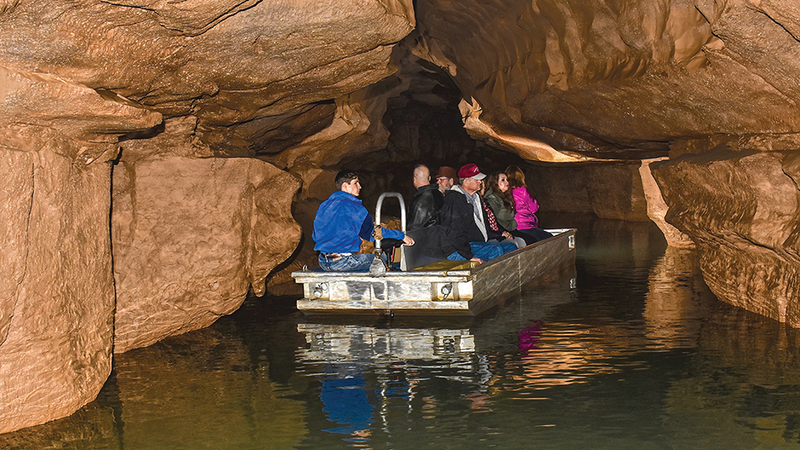 Guides pilot custom-made boats along the subterranean river for over a mile, pointing out blind cave fish and critters in Bluespring Caverns. Mitchell Opera House was originally built in 1906 and was completely restored in 2015. 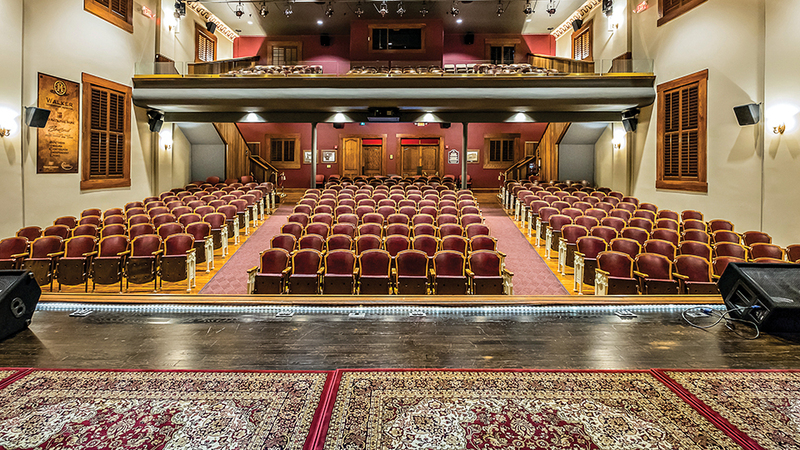 The theatre hosts weekly events, film screenings, and live music entertainment. 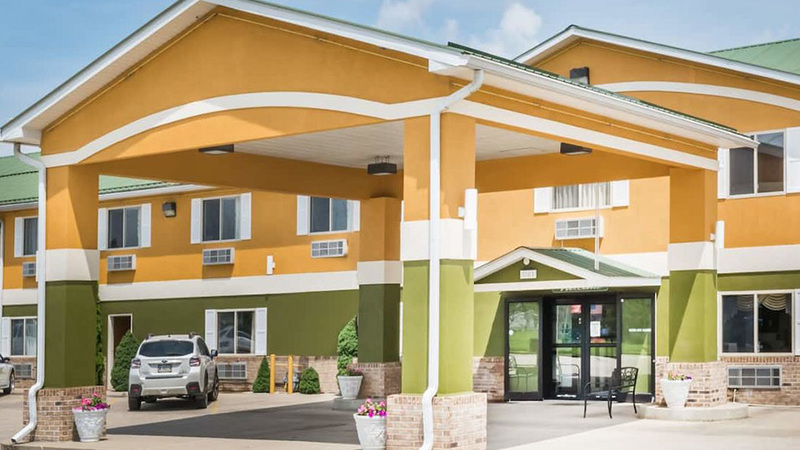 Super 8 Hotel offers an indoor pool, hot tub, complimentary breakfast, fitness room, game room. Don’t leave your furry friend at home. Ask about pet-friendly rooms. 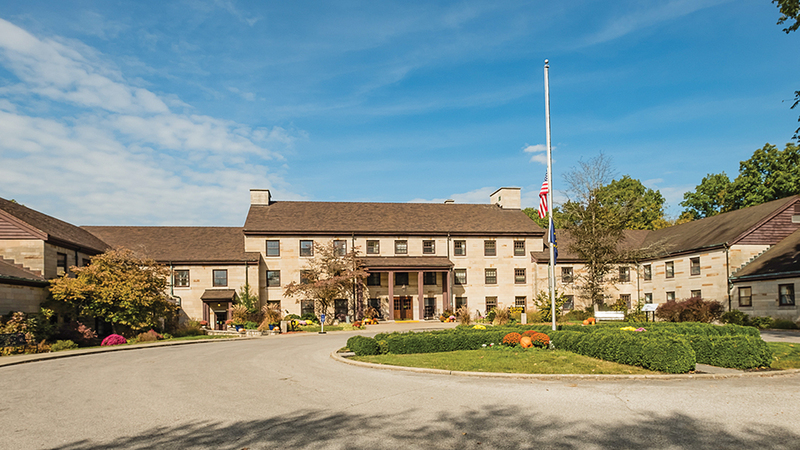 Nestled inside Spring Mill State Park, Spring Mill Inn offers indoor and outdoor pools, home cooking from the Millstone Dining Room, and a gift shop. The Inn is located close to the Pioneer Village and various hiking trails. 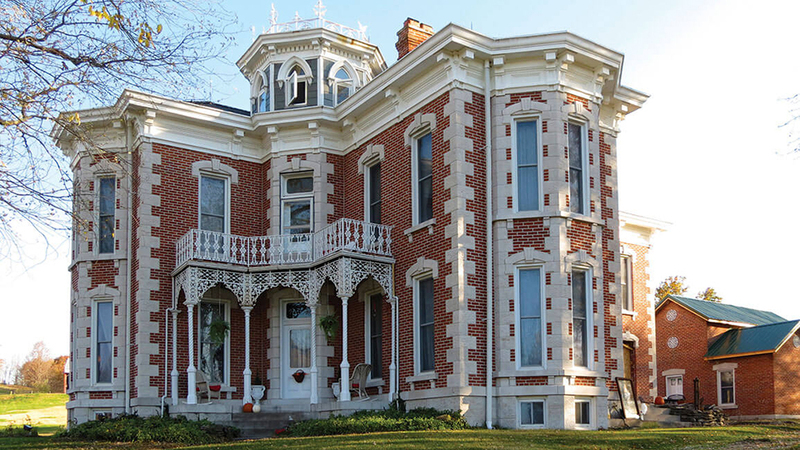 Guthrie Meadows B&B is grand Victorian mansion set on a quaint 130-acre estate. Each of the two rooms has a unique theme. Enjoy coffee by the fountain with views of the rolling hills, goats, and mini horses. Limestone Country has a different flavor every season, but the best flavor is when the persimmons fall from the trees. Persimmons are orange, plum-sized fruit with a puckery, pumpkiny flavor. Every September, Mitchell gathers to celebrate the persimmon and the community’s heritage. But, even if you can’t visit in fall, stop by any time of year for persimmon treats from Spring Mill Inn’s Millstone Dining Room or Huckleberry Bakery.